2006: Looking Back At HEROES | Warped Factor - Words in the Key of Geek. When Heroes first premiered in 2006 it instantly became one of the most popular shows on television. Taking the comic book format and adapting it better than had ever been done before. Huge legions of fans tuned in proclaiming it to be the greatest series of the decade, but just one year later disaster struck as Heroes started to go down hill. Fast. The writer's strike meant the second season was cut short, and so if there was a way to save this volume of the story it had to be jettisoned for a quick fix ending. The fans of the series were rightly concerned. When Heroes returned for season 3 many people felt that the last year was just a hiccup and outside forces had hindered the show. There was nothing to be concerned about, Heroes would return to it's originally glory with a brand new volume. Instead of having regular seasons like a normal TV show would, Heroes delivered volumes of stories, in much the same way a comic book would, collected into one graphic novel. Volume One is, as the subtitle would allow you to infer, where everything starts. We're introduced to the main cast that, rightly or wrongly, largely remained with the series up until the end of volume five. 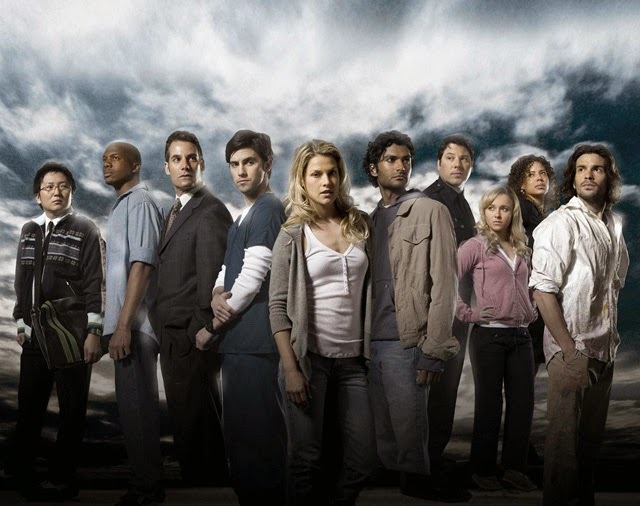 The series initially focused on an ensemble of eight characters, each of whom have a different power. Claire Bennett is a high school cheerleader with the power of spontaneous regeneration, DL Hawkins has the power to phase through matter, Isaac Mendez is a brilliant artist who can paint the future, Hiro Nakamura is the office worker who can bend and travel through space-time, LAPD Officer Matt Parkman has the power of telepathy, Nathan Petrelli is the ambitious politician who can fly, his brother Peter is an in-home nurse with the ability to absorb others 'Heroes' powers when he is near them, and Niki Sanders has super strength. Each of these Heroes is uniquely flawed - Claire, like most high school seniors, frequently forgets who her real friends are. DL is running from the law. Isaac is addicted to heroin, and can only see the future when he is high. The wonderfully geeky Hiro used his power for personal gain. Matt is dyslexic and has marital problems. Nathan cares more about his career than his family, particularly Peter, who suffers from depression. And Niki, a single mom and internet stripper, has a brutally violent alter-ego. The best part about superhero stories has often been said to be the discovery phase of the tale, and the whole first volume is devoted to that. As the episodes progressed, the characters become more accustomed to their powers, showing the natural stages of average Joe to superman. The magic of real people having superpowers captivated the world. In this volume there had to be some way to unite all the Heroes, and ultimately it's to stop a nuclear bomb from exploding in New York. But all of the Heroes are scattered around the world and only one of them knows about it. The only major downside to this volume was the average finale. I think we all expected a grand finish but one wasn't delivered. Heroes worked best when it didn't look like it was following a plan too closely, but allowed its characters some room to develop naturally, and take advantage of opportunities which opened up thanks to this. Noah Bennet, the man in the horn rimmed glasses (aka HRG for short) proved to be a more interesting character than I think even the writers had hoped for, so quite rightly his role became bigger. 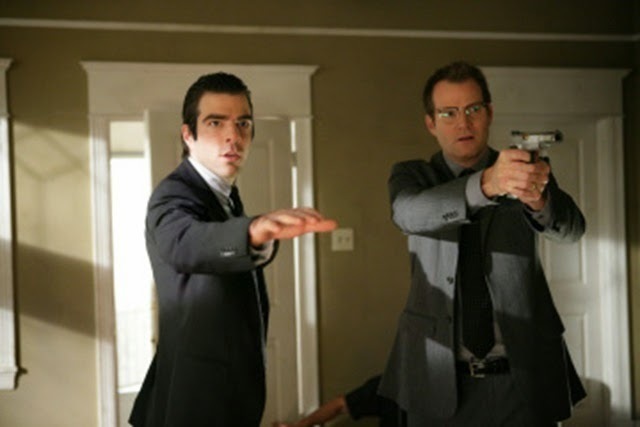 On the other side of the coin, the same happened with the shows 'big bad', Sylar. I honestly think, as great as Syler was, continually resurrecting him was a huge mistake. 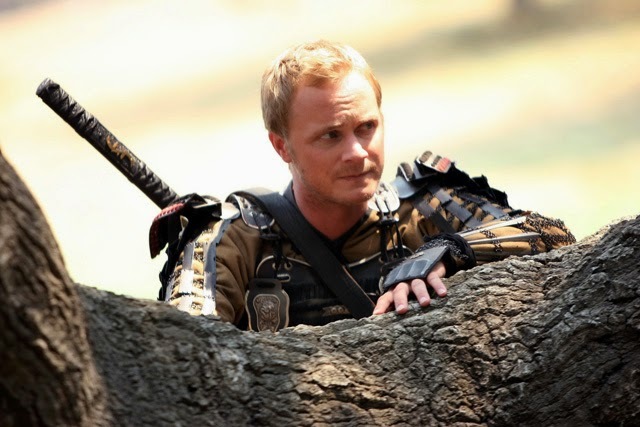 This part of the story dealt with heroes from the past, new characters were introduced, including David Anders as Kensei. In the present day the Heroes had to stop a virus from being released. Sounds exciting... at least on paper. In execution however, this volume was pretty horrible. Very little happens in the opening 4 episodes, we know these people have superpowers but they aren't really shown doing anything. Watching again the pace of the story seems so sloooooooow. Things began to pick up, but maybe because of the writers strike everything just felt disjointed. And then, just as the volume started to get interesting, it was cut short. The final two episodes were not filmed and somehow they produced a season finale out of the bits of story they had. In retrospect what we were left with was a volume which was largely a boring mess. One that understandably made fans want to tear their hair out. The show's creator Tim Kring even apologised for the show's 180 degree turn in quality. It seemed though that fandom understood what was going on behind the scenes, and we're happy to accept the reasoning that it was largely the fault of the writer's strike, so expectations, and ratings, remained high for the start of volume three. Volume Three saw the Heroes trying to stop the mass production of a formula which would give normal people superpowers, and would therefore destroy the world. Again, the season started out by introducing new characters to us and laid the foundation for some exciting new twists that should have been awesome. But after the opening episode it went downhill quite fast. With the brakes off. Instead of things being too slow like they were in volume 2, they were now quite the opposite. Random things were happening left, right, and centre. The story-arc was spinning out of control, and fans everywhere gave up on the show. Ratings tumbled. And then Heroes did something which had been planned the previous year (but couldn't be implemented due to that strike), the season was split, and after 13 episodes we segued into volume four. After the response to volume three I can only assume that frantic production meetings were going on behind the scenes. The show rightfully decided to ignore most of the previous two volumes, and put the Heroes on the run from the US government. It wasn't too slow, it wasn't too fast. Heroes found it's pacing again and delivered an interesting, logical volume. You could actually start to care for the characters once again, in a way that hadn't been present since the glory days of volume one. With the magic of the show returning, it's kind of ironic that it was now being declared "awful" by those fans who had championed it just two years earlier. Mainly because they'd given up on the series. Ratings were tumbling, but with the quality of the show most definitely back on track NBC ordered Volume Five. How very apt. Redemption is what the show sought. The writers freely admitting (and showing in volume four) that they have learned from their mistakes. The cast aren't bouncing off the walls like in they were in volume three, but they aren't sleeping like in volume two. 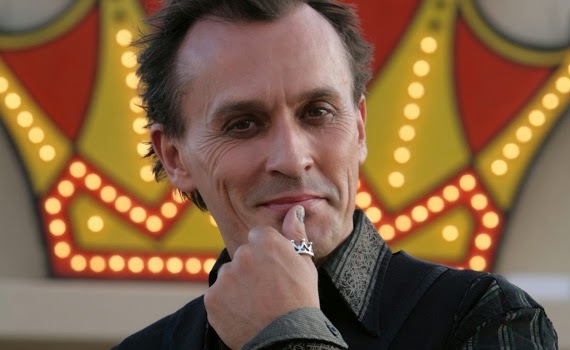 The Heroes did things we could relate to again, and the new villains introduced this season were the most interesting since the first volume (Robert Knepper especially). In hindsight volume five did start off a bit slow, so any casual viewers prepared to give Heroes one last chance may have given up (once again) by the time the story takes off with episode 4. But after that most of the episodes were excellent. This volume, unlike all of the others, actually had a satisfying ending. Overall, not quite on par with Volume One, but a very close second. Looking back it's a miracle how Heroes managed to get back on track. It promised so much in volume one, but didn't deliver any of it for the longest time. By the time it did, Heroes had fallen so far that the turn around in quality doesn't even matter now as most people who watched the show switched off, missed the later mostly-great volumes, and are now biased against it. So if you're one of those who gave up on the show then I urge you to go back, skip volumes two and three, and relive the better days of Heroes. There really was a whole lot to enjoy.